Our main focus at Horse Tack Now is to offer top quality Horse Tack Products and superior quality Horse Snaffle Bits. We proudly offer this luxurious and very durable Slow Twist Bit. The Eggbutt keeps mouthpiece from rotating around the ring, and bit stationary while preventing lip pinching. 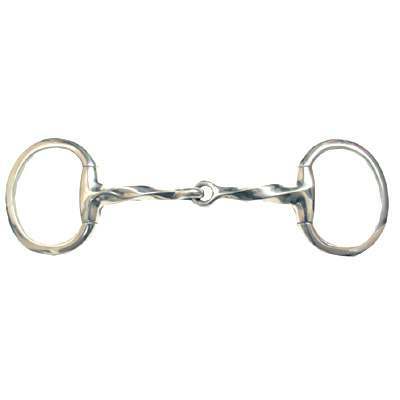 The Slow Twist Eggbutt Snaffle bit offers more control and also creates snapping action with rings and mouthpiece. This item measures 2.5'' rings and 13mm mouth. Browse our massive selection of Horse Bits and take advantage of our low wholesale prices.